The rules governing middle school are often a mystery, but for Eric Haskins, they’re a mystery he needs to solve, and fast. He’s a normal, average kid, until sixth grade starts. For some inexplicable reason, the class bully and his pack make Eric the Grunt. Even his best friend since first grade turns on him. Eric can’t figure out why he’s the Grunt until he hears about the Bully Book, a cryptic guide that teaches you how to “make trouble without getting in trouble, rule the school and be the man” and how to select the Grunt-the kid who will become the lowest of the low. Eric Haskins may be this year’s Grunt for now, but he’s determined not to stay at the bottom of the social ladder forever. Hilarious and compelling, The Bully Book is a must-read for every tween, tween parent, librarian and educator! The Bully Book is a fantastic book for two reasons. It is simply and absolutely entertaining book, and it makes an incredibly good point. The main character, Eric, has suddenly found himself as his grade's social pariah and "grunt". He is constantly teased and bullied, and he has no idea why. He finds out that there is a Bully Book and is determined to find the book to find out why he was chosen. The author got it right. As I was reading this book, I was taken back to elementary and middle school. It is obvious that the author knows exactly what he is talking about and created intensely vivid memories of school for me. I remember that nervous feeling in my gut on the first day of school. I remember feeling like someone had punched me when I was teased and humiliated in front of my peers. Those are not feelings that go away and when reminded the feel as fresh and painful as when they first happened. 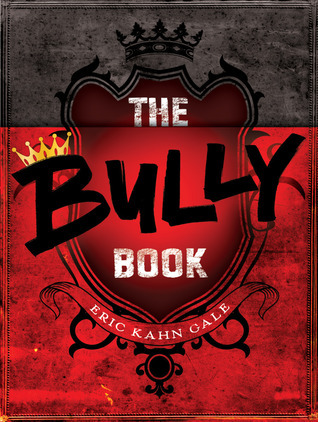 The Bully Book is a book that anyone wanting to be empathetic of bullying problems should read- adult or child. This is a book that needs to be in the hands of kids- it needs to be read. I won't give away the end of the story, but it is such an important ending- one that all kids will find value in. I encourage you to read this book- it is a great one. I love it when authors can take me back to a different time and make it feel so realistic!